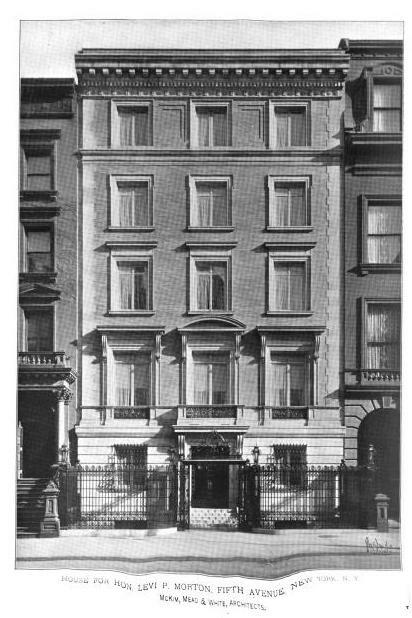 The Levi P. Morton residence designed by McKim, Mead & White c. 1898 at 681 Fifth Avenue in New York City. Morton was Vice-President of the United States under Benjamin Harrison and later Governor of New York. 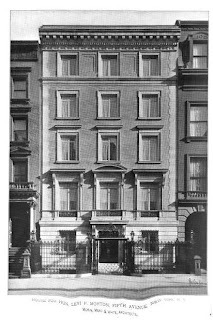 The residence has since been demolished. Photo from The Brickbuilder, 1902. They can't all be outstanding or where would we be? Sometimes dignified and dull is what is called for, don't you think? I mean - if every building built today was a Gehry where would we be? For the record I can't stand him but just to cite an example. Absolutely. Gehry is over rated no doubt although Disney Concert Hall and 8 Spruce Street are exceptions. Most "star" architects want to populate the environment with statement buildings when a nice background building that plays well with its neighbors is what is called for. Boys, boys! I wasn't damning the building at all---it's a perfectly good house---but is just that, a nice, dignified, dull house.